The Australia Skilled Independent Visa (Subclass 189) is a Permanent Residence Visa to Australia. A Permanent Resident in Australia is allowed to stay in the country indefinitely. 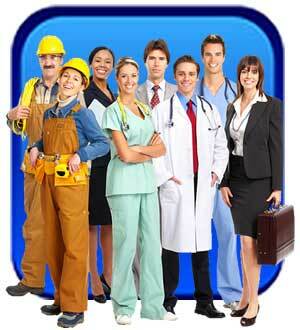 This visa is specifically designed for skilled professionals to migrate to and work in Australia. The Skilled Independent Visa also allows the holder to travel and visit Australia for 5 years from the date the visa is issued. If the holder of the Skilled Independent Visa is in Australia at the time of the expiry of this visa, it will not affect the Australian Permanent Resident status. However, to leave and enter Australia after the expiry of the initial Visa, the Australian Permanent Resident must apply for a Resident Return Visa (RRV). The Subclass 189 Visa has a points-based test designed to choose visa applicants who have the necessary attributes and skills that will help them find suitable work in Australia in an occupation that fulfills the skills-shortage in Australia. A person who wants to apply for a Subclass 189 Visa must be working in an occupation that is listed in the SOL (Skilled Occupation List) or the CSOL (Consolidated Skilled Occupation List) and their education and qualifications need to be assessed by the SkillSelect. Australia Immigration Points: In order to pass the points-based system, an applicant must score a minimum of 60 points. The points for the Australian Skilled Independent Visa (Subclass 189) are based on the criteria of Age, Skills Assessment, Location, English language, Health, Character, Overseas and Australian Skilled Employment, Qualifications, Australian Study Requirement, etc.